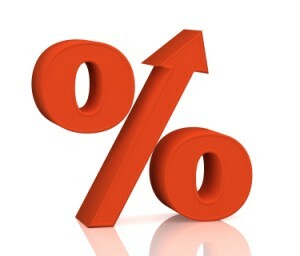 Another bank lifts interest rates. Is this a sign of what’s to come? The Commonwealth Bank is the latest lender to lift interest rates for homebuyers looking to fix their home loan, raising rates on a number of fixed products. The country’s biggest lender lifted the rate of its popular 3-year fixed rate by 0.20 percentage points to 4.24 per cent on Friday. It also lifted its longer-term 5-year fixed rate by 0.60 percentage points to 4.74 per cent, among other changes. CBA was the second major bank in a fortnight to lift fixed rates following Westpac, which also made changes to some of its fixed rates. A RateCity.com.au analysis shows that along with CBA and Westpac, a further 20 lenders have lifted rates 268 fixed products since November 1. 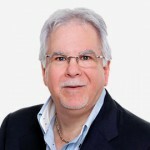 Peter Arnold, data insights director at RateCity.com.au said it’s a sign of what’s to come as the banks bet on where rates will be in the future. “Fixed rates are based on market expectations of future rates and are the best indicator that we’ve got that a variable rate hike on the way,” he said. “Previously, banks were betting on lower rates in the future but we’re seeing those expectations change by the day. Shorter-term fixed rates are still sitting below variable rates, which tells us rates will stay steady when the RBA meets on Tuesday. 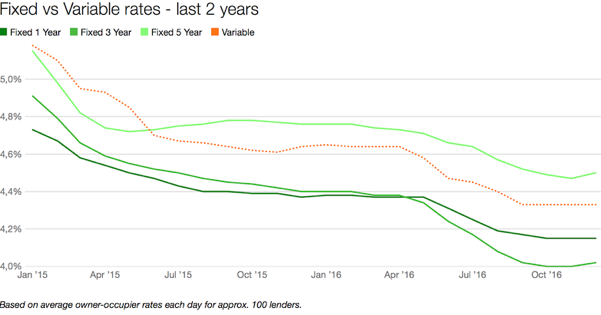 RateCity.com.au data shows that the number of people looking to fix their home loan rates had increased in the past month. “We’ve seen interest in fixing rise by nearly 30 per cent in November, compared with October, as homeowners lock in now before rates rise further,” he said. “It’s always a gamble when deciding whether or not to fix your home loan. Our research shows that over the past 20 years, people who stuck with variable rates came out ahead 63 per cent of the time,” he said. “People often fix in panic, for instance in the lead up to the GFC fixing became progressively more popular as rates increased to the point where one quarter of new loans were fixed at over 9 per cent in March 2008.